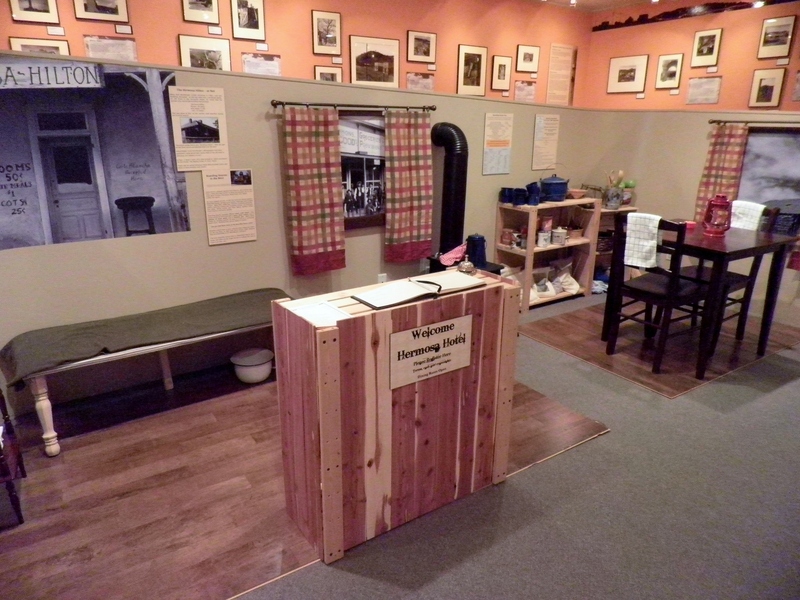 This is the exhibit I have been helping out with at the Silver City Museum. The following information was made available in a press release prior to the exhibit. 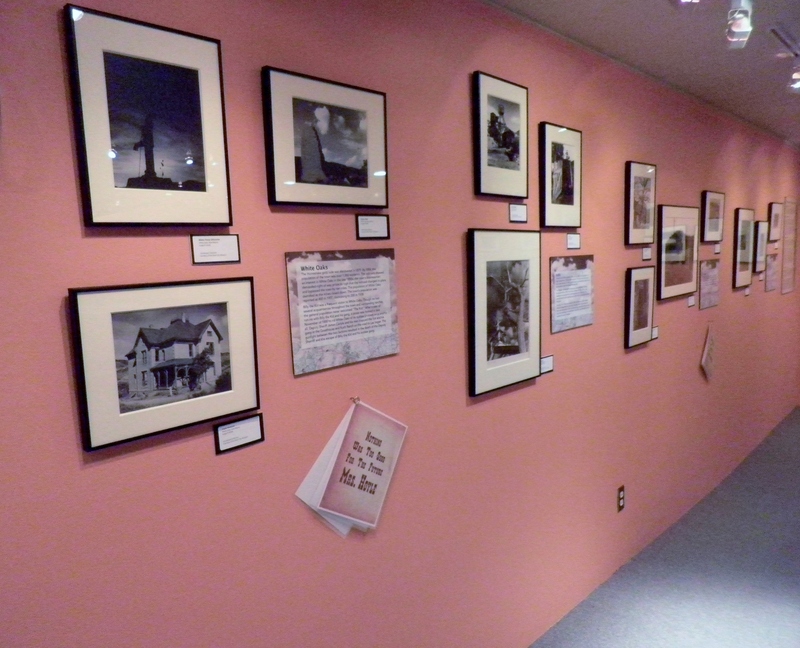 “The new exhibit, “Ghost Town Diaries: Karl Kernberger’s Search for the Light” will opened to the public on Saturday, September 28, 2013 at 10 am. The Silver City Museum is located at 312 W. Broadway in Silver City, NM. The photographs in this exhibit record some of Southern New Mexico’s ghost towns as a then young college student Karl Kernberger saw them from 1959 through 1967. This exhibit includes scenes of the Black Range bonanza towns of Hillsboro, Kingston, Chloride, and Lake Valley; the towns of Old Hachita and Shakespeare in New Mexico’s desert “bootheel” country; and the towns of Mogollon, and Alma in the Mogollon Mountains. Views taken closest to Silver City show Georgetown and Old Tyrone as they looked in 1961. Many of the photographs in this exhibit are original prints meticulously developed by Kernberger himself. Each town has its own story. 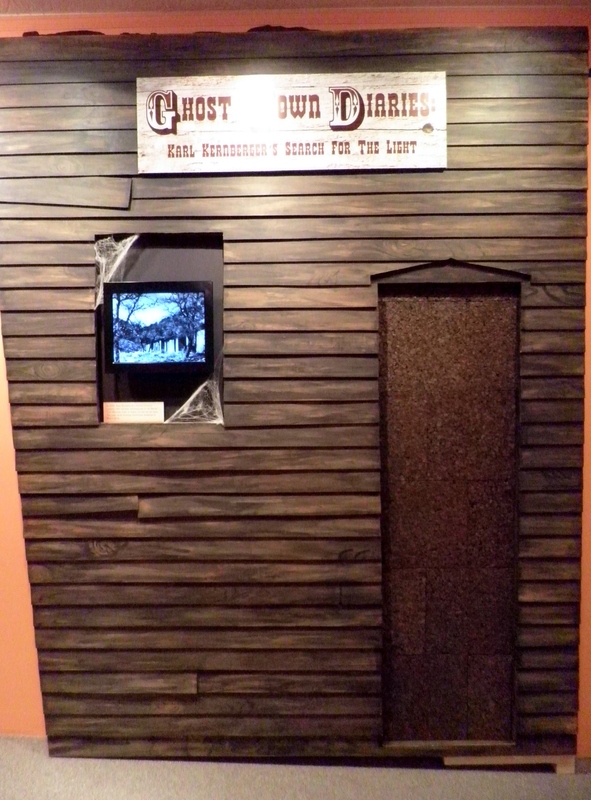 The stories in the exhibit were collected from residents by Karl Kernberger and Michael Jenkinson and were included in their book Ghost Towns of New Mexico, Playthings of the Wind published by the University of New Mexico Press in 1967. 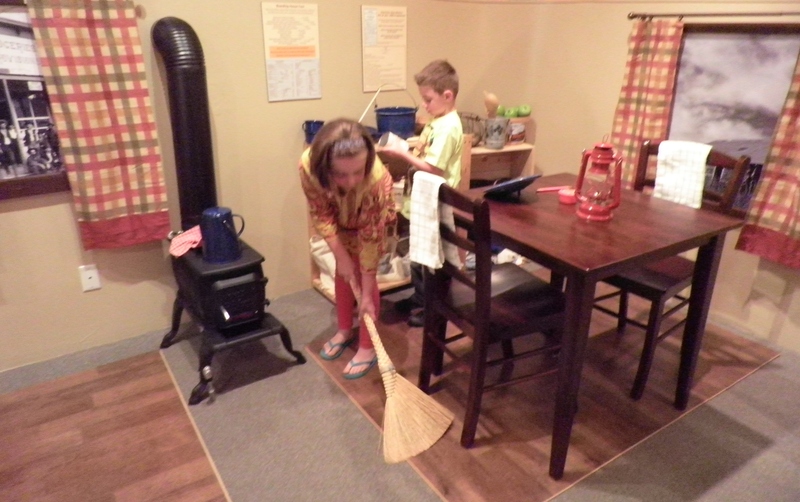 Programs and exhibits are funded in part by the generosity of the members and volunteers of the Silver City Museum Society. 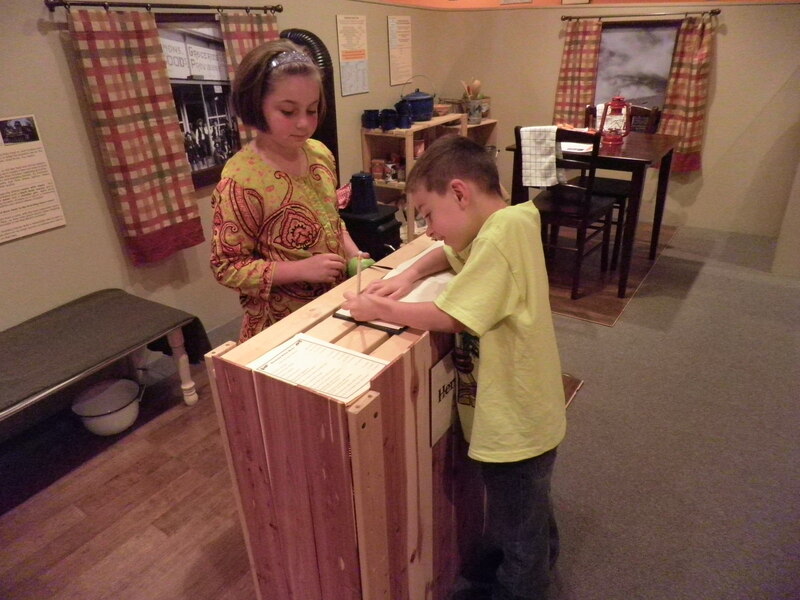 One of the many great things about the Silver City Museum is their children’s interactive events. My kids love going there for this reason. 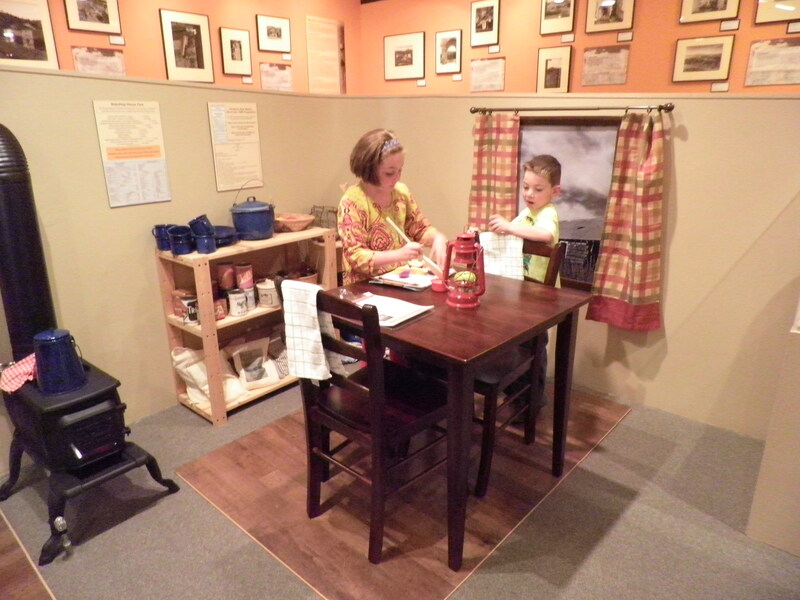 The children’s exhibit in the Ghost Town Diaries is a boarding house. 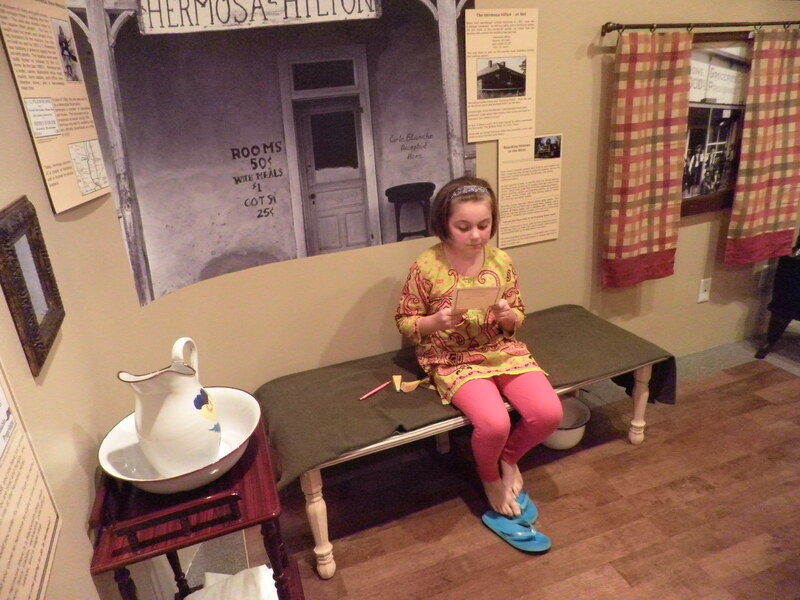 “Step back into 1888 Hermosa, NM in the children’s interactive area. 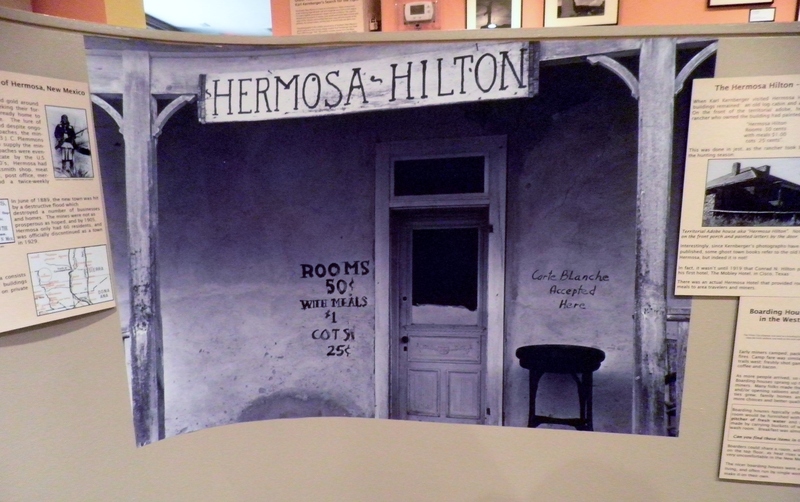 Welcome your guests at the Hermosa Hotel, a boarding house for miners and area travelers. Register for your room and then get some lunch in the dining room. Look out your window at the local mercantile or just relax in your room. I cannot tell you how well behaved my children were Saturday afternoon. They even cleaned up their mess. Overall, the experience I had working on this exhibit was fanstastic. I am constantly impressed by how enriching the exhibitions are. I also want to mention the gift store has really good books on local and New Mexico history. And everyone who works/volunteers there is eager to share information. I am new to the area and the knowledge I have gained about Silver City and New Mexico has been a direct result of becoming involved with the museum. So stop by and check it out!